Hotel St-Gervais offers you a 'Free access Card' to use bus and train in Geneva, during the whole stay in our property. 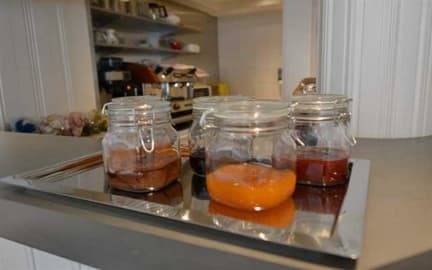 Every morning from 6h30am till 9h00am you will enjoy our delicious continental breakfast with a choice of hot beverage, whole-wheat, fresh croissants, butter, selection of jam, honey, orange juice and fruit yogurt. 'Kindly note that the reception closes at 11.00 p.m. After this time, we kindly ask you to inform our reception team, in order to provide you the door's code'. Please note that the property will pre-authorise the card before arrival. 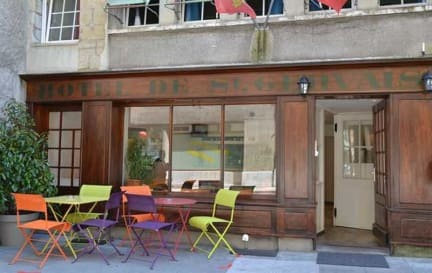 This is a great small hotel, located close to almost everything in Geneva's city center and with a great value for your money. Breakfast was great, and the staff really nice. The room was clean and cozy, and the street the hotel is in was really quiet so a good night sleep is guaranteed. The staff was great. The breakfast selection was good. The location was absolutely perfect. Great hotel. This is the perfect location for a stay in beautiful Geneva. Great staff, very friendly and helpful. The hotel is in a good location. It is clean and cozy for a short stay. The breakfast was a plus and the staff was helpful. Nice location and great breakfast. Good value. I think this is a great option to stay in Geneva, it is right next to the train station to the airport and close to everything. The breakfast in the morning was lovely! It is a little expensive but everything is in Geneva, so it's not bad in comparison to other options. Also it was clean! This hostel was in a very convenient location, and the front desk was very helpful and friendly! It was quite noisy at night, so we had some trouble sleeping. Overall, not bad! Very friendly staff and excellent location. Rooms (and beds) were very small and the shared bathroom was clean but old. The breakfast was limited (croissant, toast and jam). However, there was a good vibe and the friendly staff and great location makes it a good option! The best thing about this place was the staff, they were all really lovely and so helpful. The location was amazing, a short walk from the station and from the lake and centre too. The worst thing was the building, the walls were paper thin so the quality of your stay completely depends on who’s next door to you. The hallways are also very echoey so the banging from breakfast at 6am woke me up every morning. Having said that, I’d definitely stay again, if only for a few nights. There was mold on the walls, the bed sheet moved around the bed so you’d be on the naked mattress, the walls were so thin so it was hard to sleep and the room was so hot. Good employees/breakfast but def not worth the price.